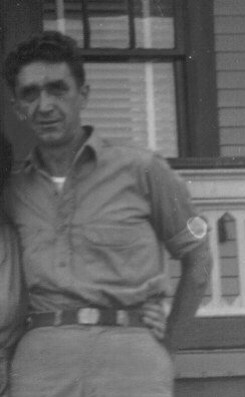 John Burns (Burns) McCall was born in 1916 to John Alexander and Isabella Montford (nee MacDonald) of East Nissouri Township. He enlisted for service with the United States of America, living in Detroit at the time. Burns died on November 22, 1961 and is buried in Kintore Presbyterian Cemetery, Kintore, Ontario.